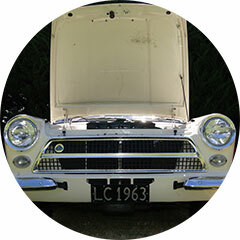 The Classic Cortina Car Club started in the mid 1980’s with a small group of Ford Cortina enthusiasts in Christchurch. and MK5 or other Classic Ford vehicles. The Club wanted to promote, Lotus, 1600E, GT, GTE in the MK1 and MK2 only as they were seen as the more desirable car to collect. As time went on and the Classic Cortina Car Club name became a regular feature at the car shows in Canterbury and other places around the country. The membership slowly grew in numbers and the Club eventually included MK3, MK4 and MK5 models. Now it is 2016 and the club is a very family orientated club, that promotes cortinas and attends as many events as possible. The Classic Cortina Clubs role is to help members with their restoration projects, the sale of their Cortina, or just a friendly chat about a particular model they may have owned in the past. Club members meet on the first Tuesday of every month and non-members are welcome to visit. We endeavour to keep the Events up to date on all upcoming club events and shows, grass gymkhanas and barbeques that happen through out the year, any excuse to take your Cortina out for a drive seems to appeal to most members. Please feel free to Contact us directly or any of the Committee for further information.